"Monsters John! Monsters from the Id." 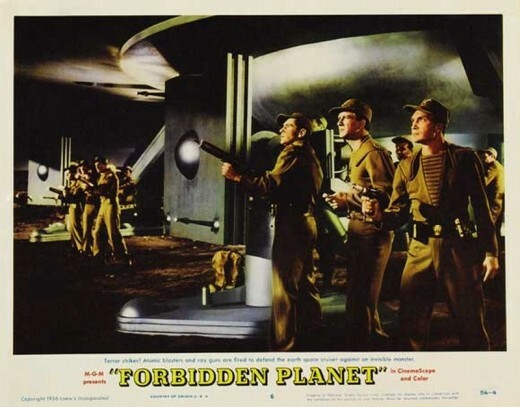 Forbidden Planet was directed by Fred M.Wilcox and premiered on 15th March 1956. 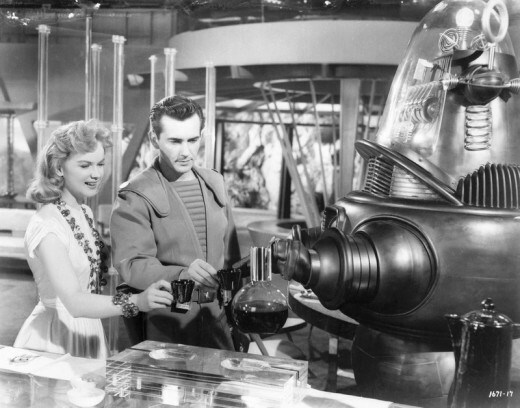 It starred Walter Pidgeon, Anne Francis, Leslie Nielsen, Warren Stevens and Jack Kelly. Screenplay by Cyril Hume. Electronic Tonalities by Louis & Bebe Barron. 98mins. 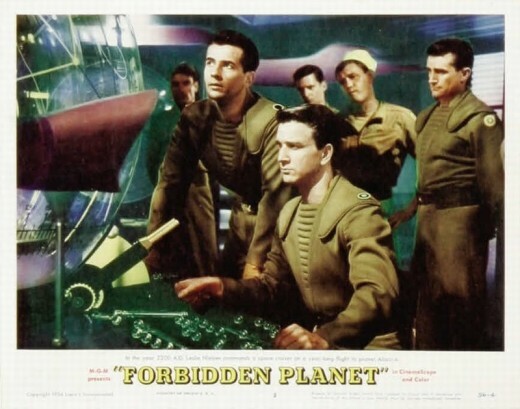 One of the great classics of SF cinema, Forbidden Planet (1956) is an updating of Shakespeare's The Tempest (c1611). Prospero is Dr. Morbius, an obsessive scientist living alone with his daughter Altaira (the virginal Miranda figure) on the planet Altair IV. 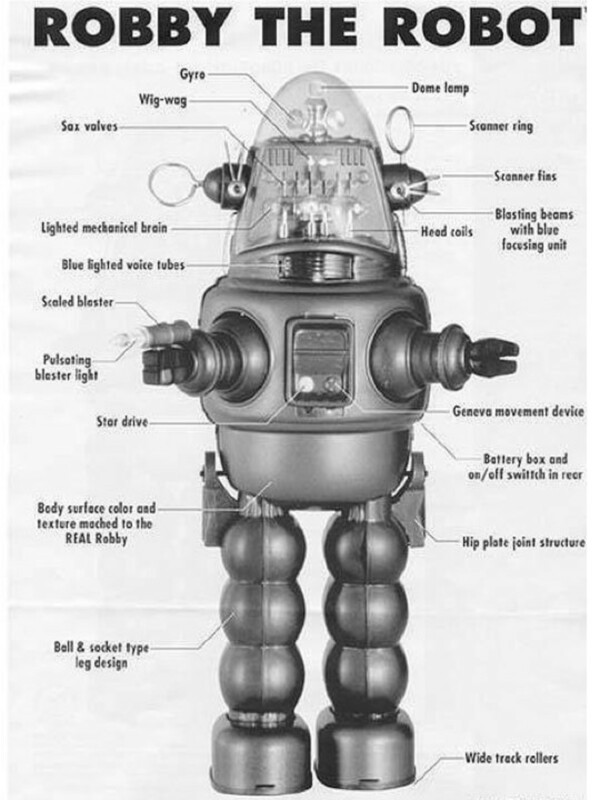 Ariel is the charming Robby the Robot. And Caliban, the invisible Id Monster. Originally written as a wholesome family movie, director Fred M. Wilcox (1907-1964), whose best known film was Lassie Come Home (1943), turned the script on its head and presented an intelligent film about the possible hazards of technology and space travel, subverting the story and transforming it into a nightmare. Morbius: The fool, the meddling idiot! As though his ape's brain could contain the secrets of the Krell! 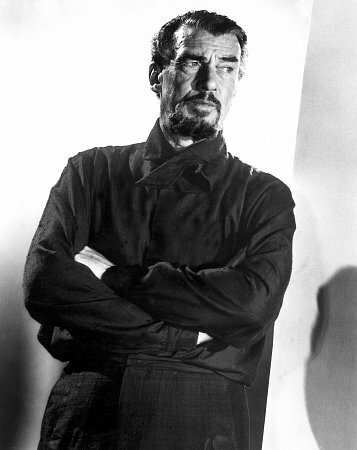 Walter Pidgeon (1897-1984) / Dr. Edward Morbius. 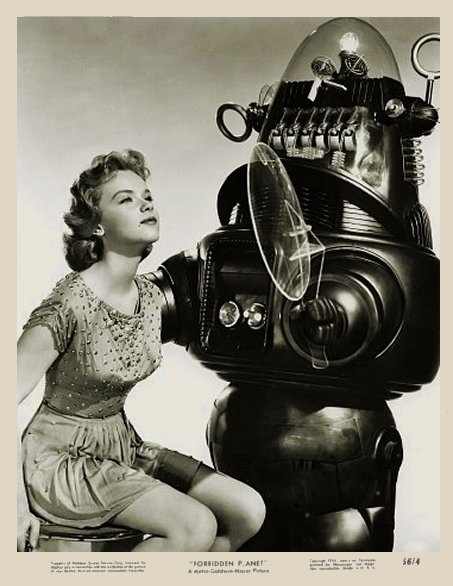 Anne Francis (1930-2011) / Altaira, Morbius daughter. 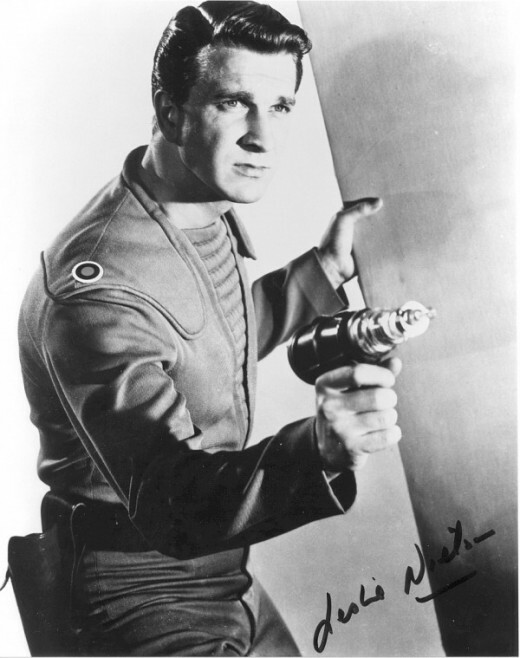 Leslie Nielsen (1926-2010) / Commander J.J. Adams, captain of the United Planets Cruiser C57D. Warren Stevens (1919-) / Lt. 'Doc' Ostrow. Jack Kelly (1927-1992) / Lt. Jerry Farman. Richard Anderson (1926-) / Chief Quinn. Earl Holliman (1928-) / Cookie, the ships cook. 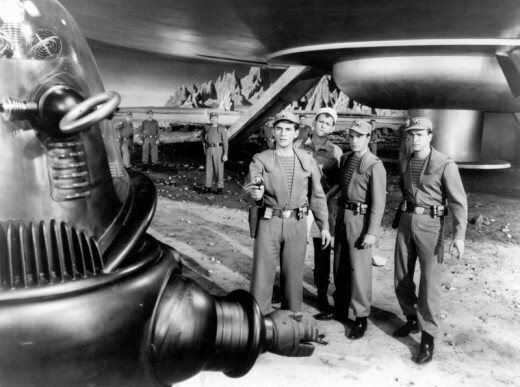 Robby the Robot: If you do not speak English, I am at your disposal with 187 other languages along with their various dialects and sub-tongues. Morbius: In times long past, this planet was the home of a mighty, noble race of beings who called themselves the Krell. Ethically and technologically they were a million years ahead of humankind, for in unlocking the meaning of nature they had conquered even their baser selves, and when in the course of eons they had abolished sickness and insanity, crime and all injustice, they turned, still in high benevolence, upwards towards space. Then, having reached the heights, this all-but-divine race disappeared in a single night, and nothing was preserved above ground. It is the 23rd Century and Commander Adams and the crew of United Planets Cruiser C-57D are on a rescue mission to the distant planet Altair-IV, upon which a previous vessel the Bellerophon had landed. Upon arriving at Altair-IV, the team discovers two survivors, Dr. Edward Morbius and his beautiful daughter, Altaira. 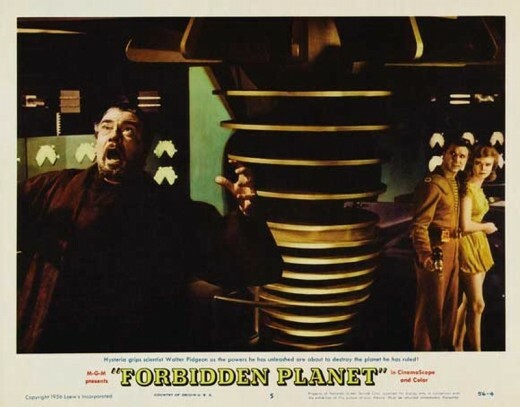 Forbidden Planet has sumptuous visual effects and sets depicting Altair IV with it’s twin suns and green skies, and the underground cities of steel and porcelain of the Krell, the alien race whose dangerous secrets Morbius has partially unravelled. Although unaware of the awesome power he has tapped, Morbius has similarly unleashed the power of his own subconscious, his Id. He kills his fellow explorers when they want to return home, only his daughter is spared. The significance of this becomes clearer when Commander Adams and his crew arrive to investigate. First Morbius tries to warn them off but when they land members of the crew are killed by an invisible force. Morbius is clearly jealous of the attention paid towards his innocent daughter for whom he has incestuous feelings. After the climactic battle against the Id monster, the literalization of his jealousies and unspeakable desires, Morbius realises what he has unleashed and makes a move towards redemption. He throws himself into the arms of his manifested Id. Mortally wounded, Morbius tells Adams to push a lever which sets off an irreversible chain reaction deep inside the planet, with his dying breath he calls out the name of his daughter. Altaira, Robby, Adams and his crew fly off into deep space, they watch as Altair IV explodes, taking along with it the secrets of the Krell. The music or “electronic tonalities” by Louis and Bebe Barron, was innovative for it’s time, the first completely electronic film score. 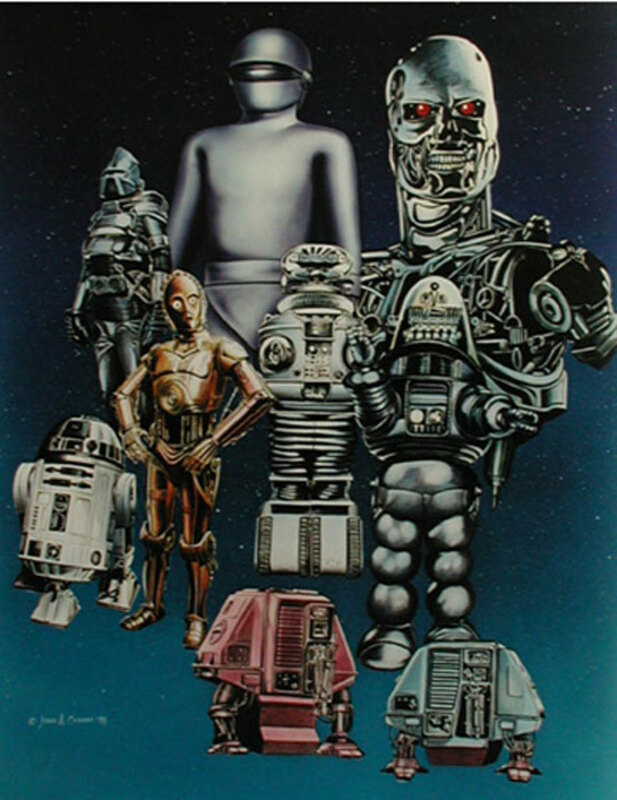 The soundtrack album was first released in 1976, the movie's 20th anniversary. 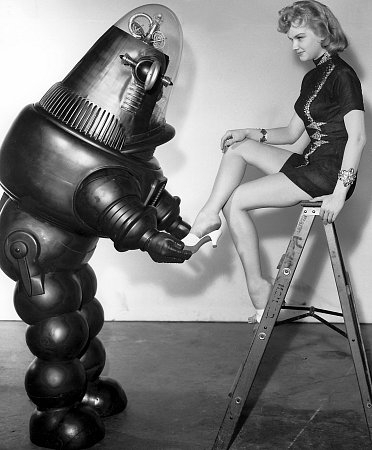 Robby the Robot: Sorry, miss. I was giving myself an oil-job. 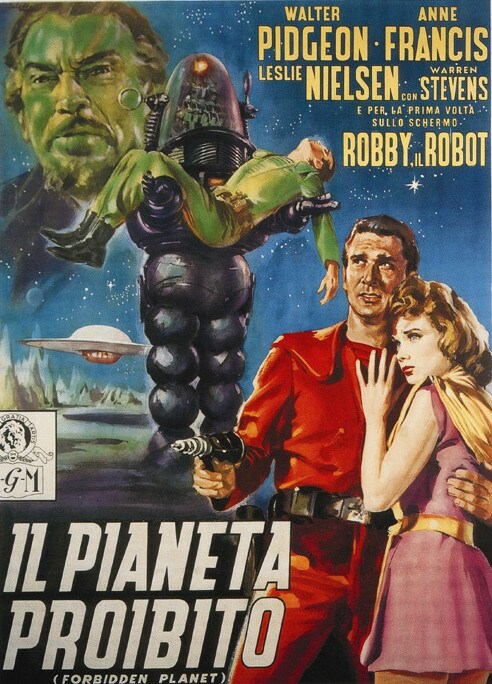 Robby the Robot (voiced by Marvin Miller) was so popular he became a science fiction icon (and also appeared in the movie The Invisible Boy in 1957). 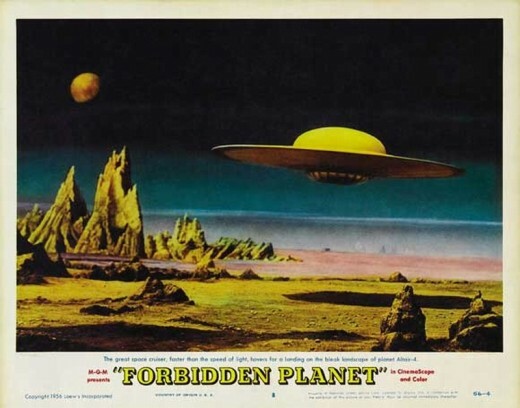 Forbidden Planet was nominated for a Best Special Effects Oscar, losing to The Ten Commandments (1956). A novelization of the film was published after the films release, written by W.J.Stuart (Philip MacDonald). 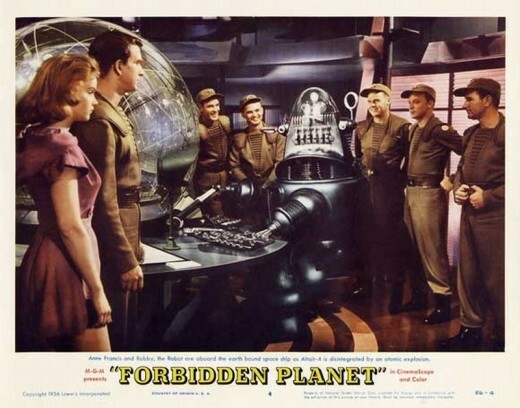 Star Trek creator Gene Roddenberry has stated in interviews that Forbidden Planet was an inspiration for the series. 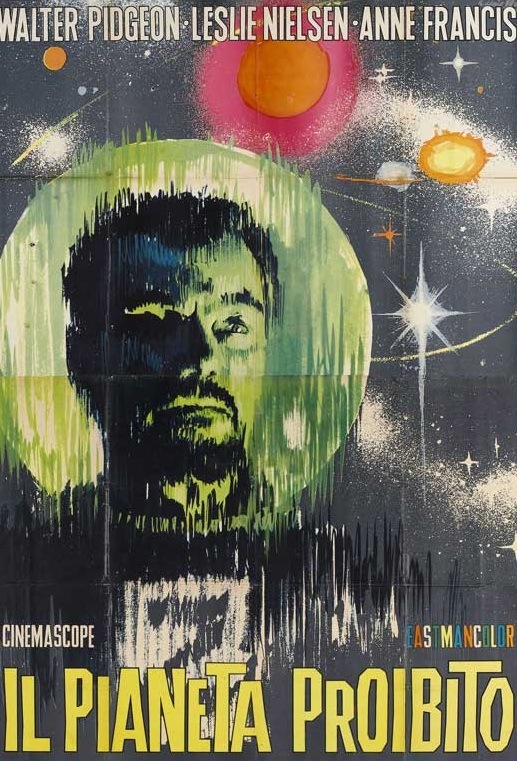 Forbidden Planet is a SF classic, perhaps the greatest from SF cinema’s golden age. The visual effects even today still convey a sense of wonder, particularly the scenes depicting the vast underground labyrinth of the Krell reactors. Hi there, welcome to Hubpages. I always go 'overboard with the pictures' you should see some of my other hubs. 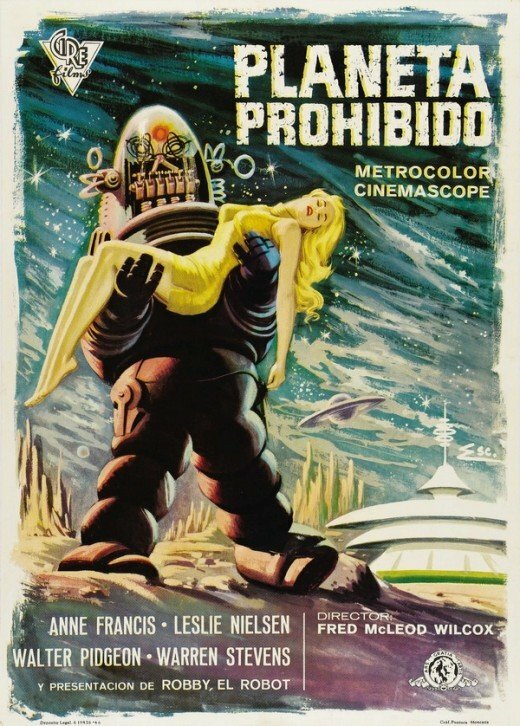 :) This was one of my first hubs, Forbidden Planet is probably my favourite sci-fi movie of the 50's. 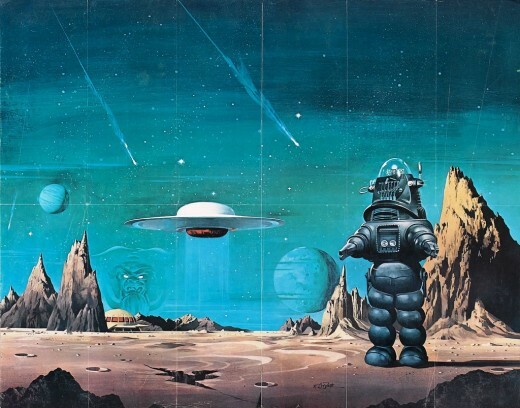 I just joined HubPages and decided that my first Hub was going to be on Forbidden Planet, not realizing that someone had already done one. I guess that's what I get for being such a dork and thinking that I was going to be the first. I think you did a better job on yours than I did on mine (maybe I'll get better with time), although I think that you might have gone a little over board on the pictures, no offence meant. I too am a fan of these movies, and TV shows of similar type, I'm actually watching an old episode of Supernatural as I write this (I have the whole collection), and I also wanted to comment on Flora's comment about that Star Trek episode. The name of that episode is By Any Other Name and it's in the second season of the original Star Trek series (I have that whole collection as well). Hi Flora, I remember that episode, the crew are turned into cubes by aliens led by Warren Stevens. I'm embarrassed to say that I haven't seen this film despite it airing from time to time on TCM. It has some of my favourites in it too. Speaking of Star Trek, Warren Stevens guest starred in one of the episodes as an alien who in real appearance had something like 1000 tentacles but had to take on human form to ride in the spaceship. I can't remember the name of the episode but it contains ca great scene between Dr. McCoy and the alien he's "treating." After injecting his patient with a drug Dr. McCoy says "...we'll see how you'r doing." The alien replies "I see no reason to refer to yourself in the plural." Thanks for the comment lone77star. 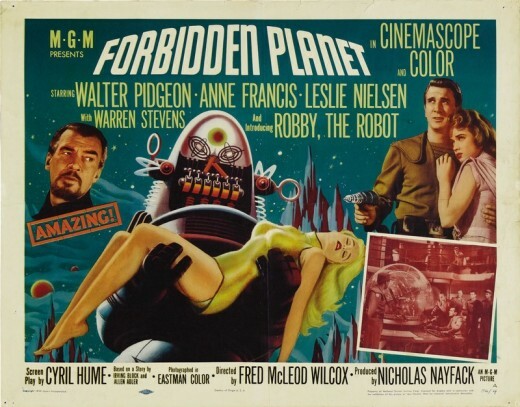 Forbidden Planet is probably my favourite 50's sci-fi. Awesome movie. It inspired quite a number of us humans. 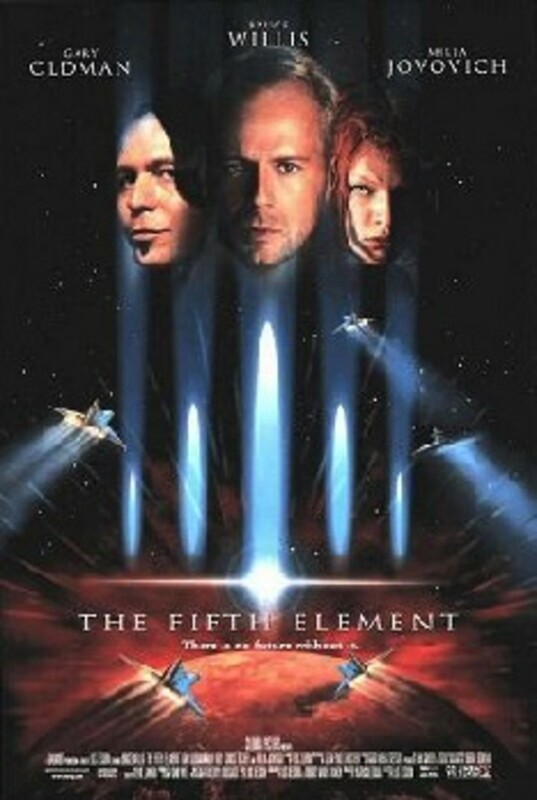 My favorite classic SF movie. Thanks for your take on it all. It was sad when both Nielsen and Francis died within weeks of each other.